Coconut…yum (but don’t eat it). WHAT: A luxurious cleanser with a blend of moisture-rich Coconut and Murumuru Butters to help restore sheen, softness, improve flexibility and minimize frizz. 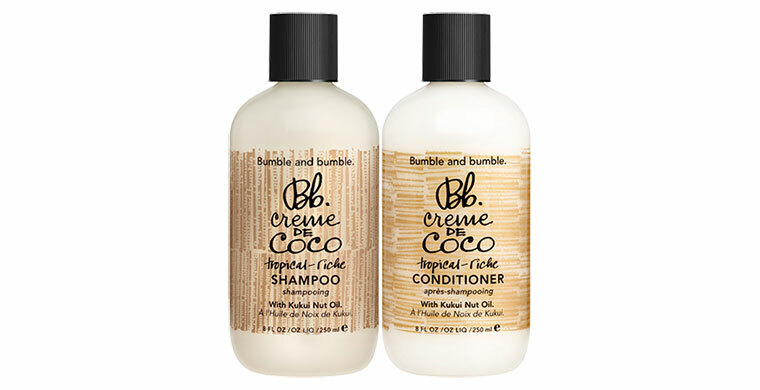 WHEN: Daily; followed by Creme de Coco Conditioner. WHAT: A moisture-rich conditioner that softens, adds shine, improves flexibility, and tames frizz. WHO: Coconut lovers and island hoppers, especially if dry or dull (color compatible). WHEN: Daily; following Creme de Coco Shampoo.